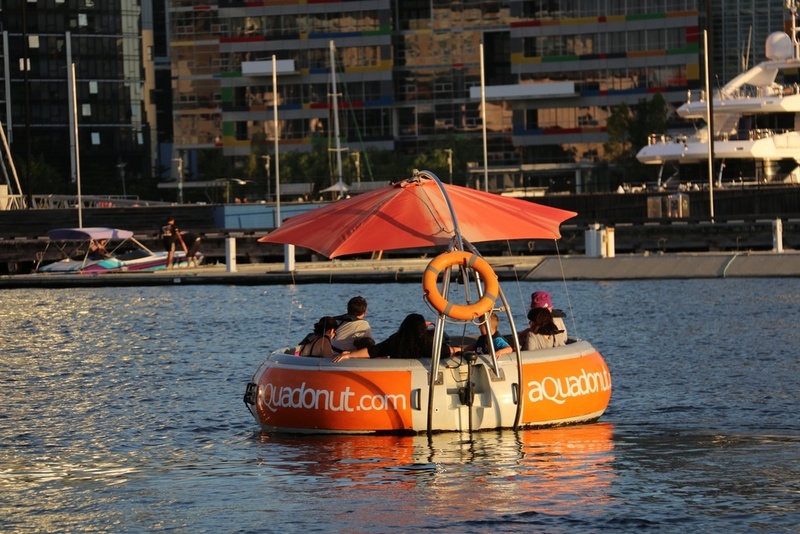 "Aqua Donuts feature a gas BBQ station surrounded by seating for up to 10 people. 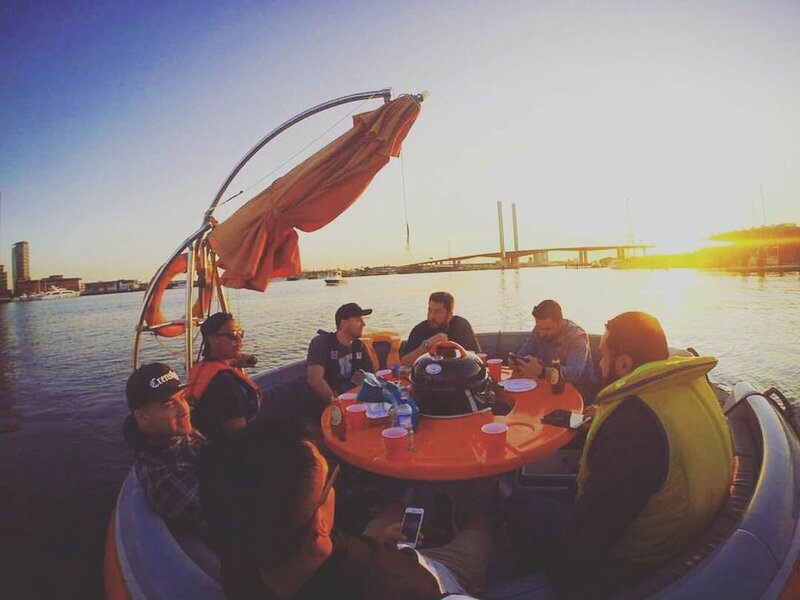 They run on an electric motor travelling at a maximum speed of 9 KPH and no boating license is required." 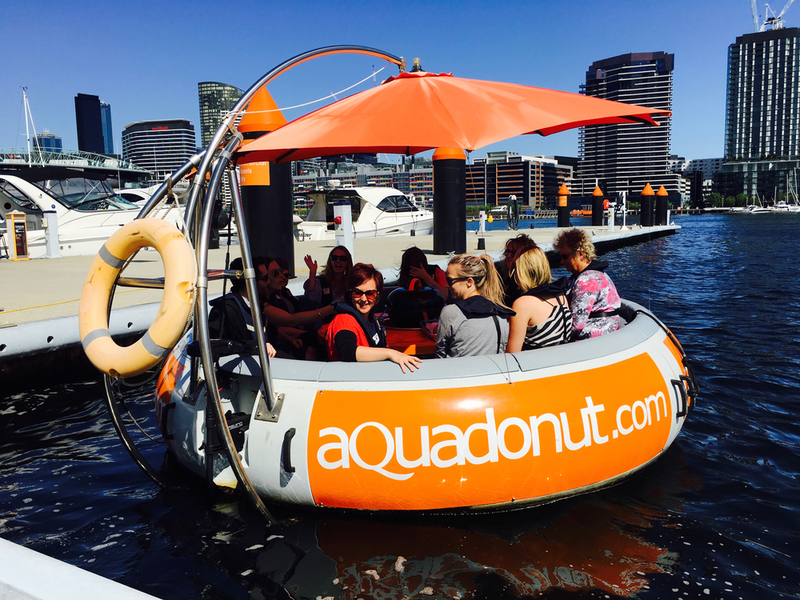 "We went on the Aqua donut on Sunday & it was so good and relaxing (after we cooked and ate of course). 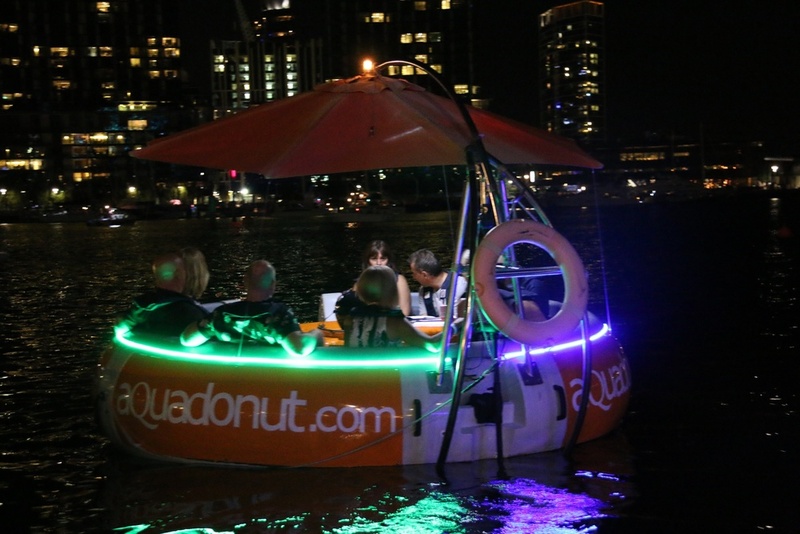 Such a good idea, who ever came up with the aqua donut"
"It was the best dinner ever. 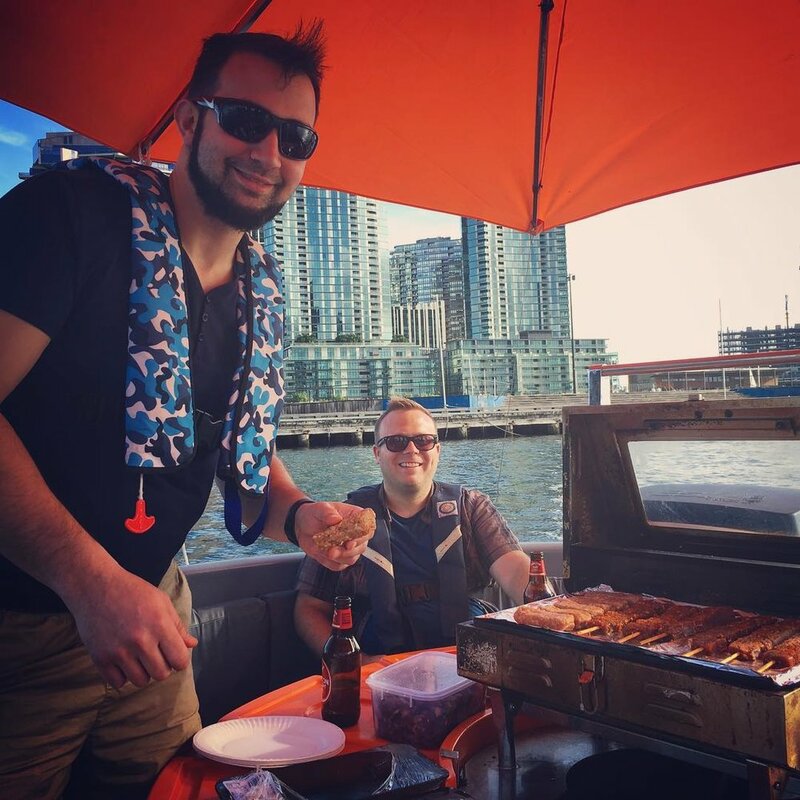 The views are amazing and great staff." 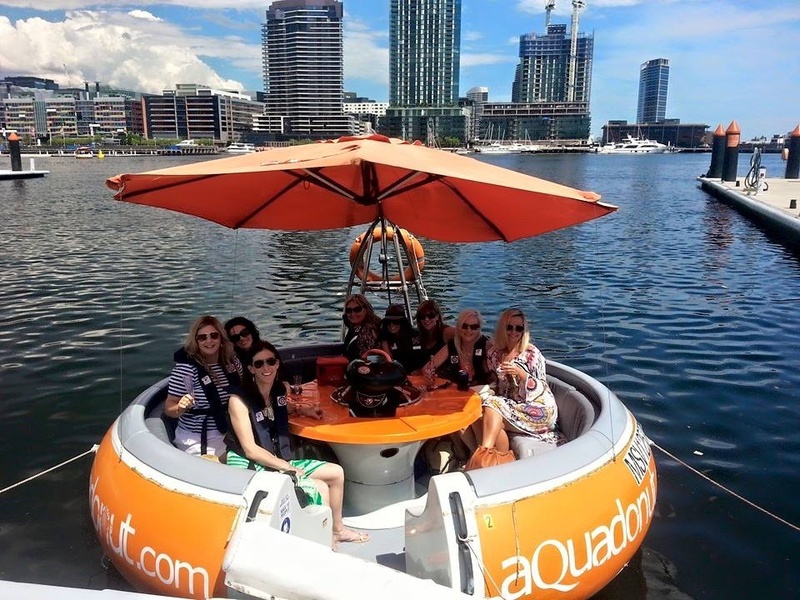 "Excellent experience, great customer service and perfect for Australia." 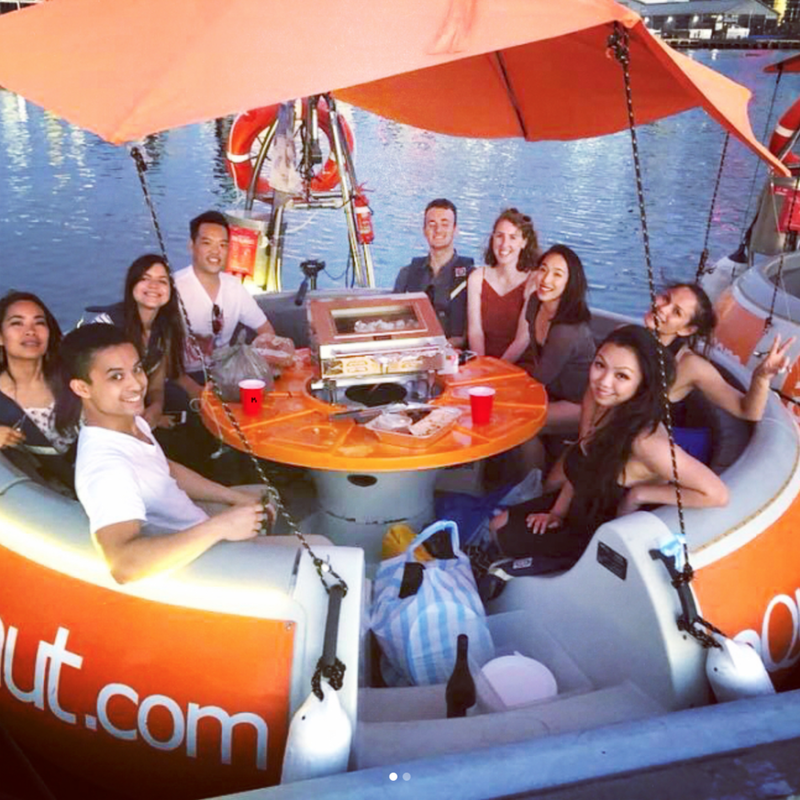 "As a group we booked this Aqua Donut experience, 8 of us. 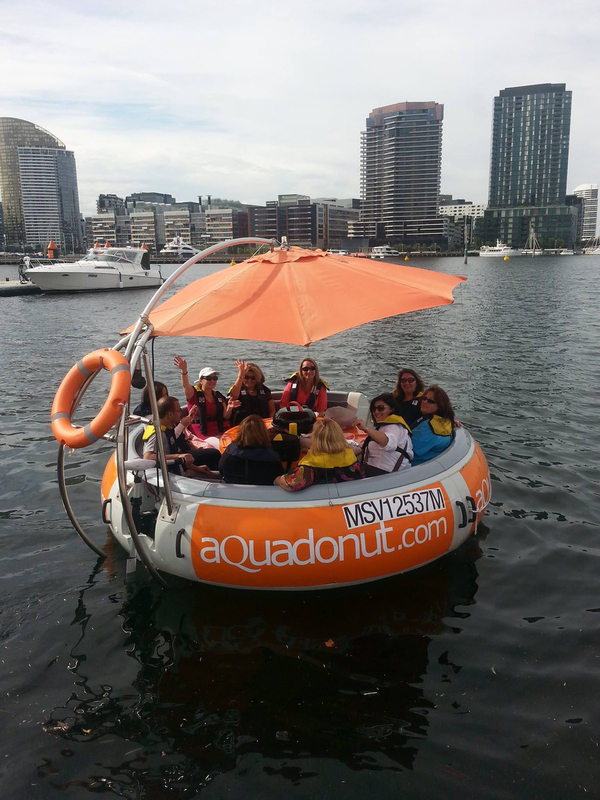 We had the Aqua Donut for approx 2h's and the price was fair for that time period. The chap that we had was friendly helpful and patient with us. 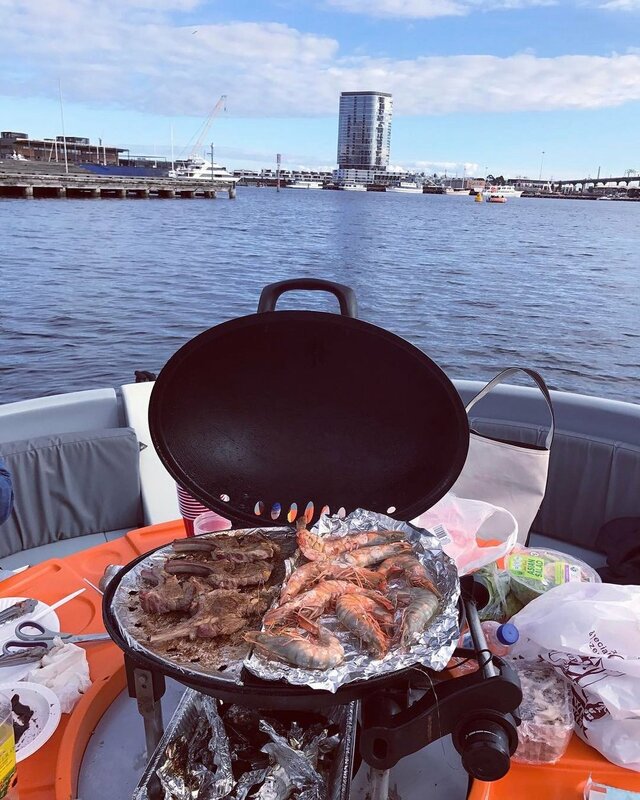 Overall the experience was great. 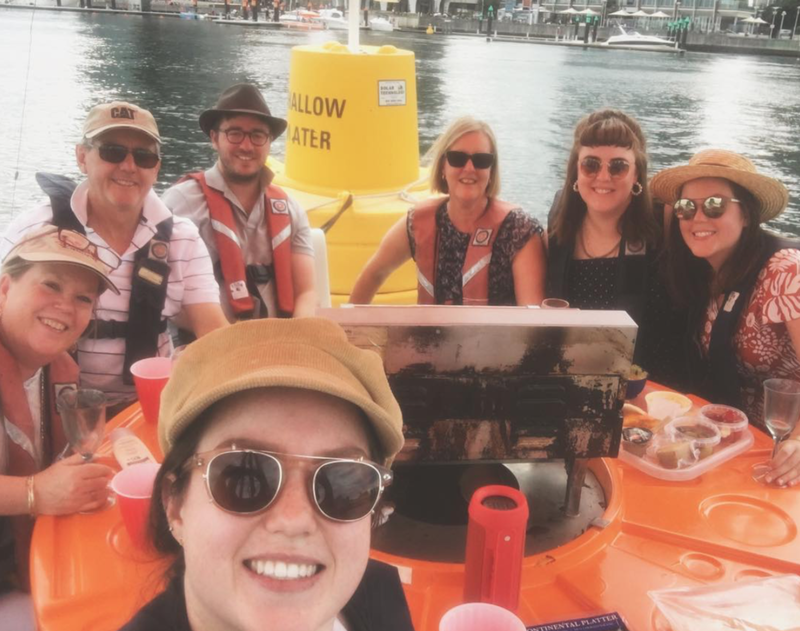 We put the sun shade up and cruised around in the area. 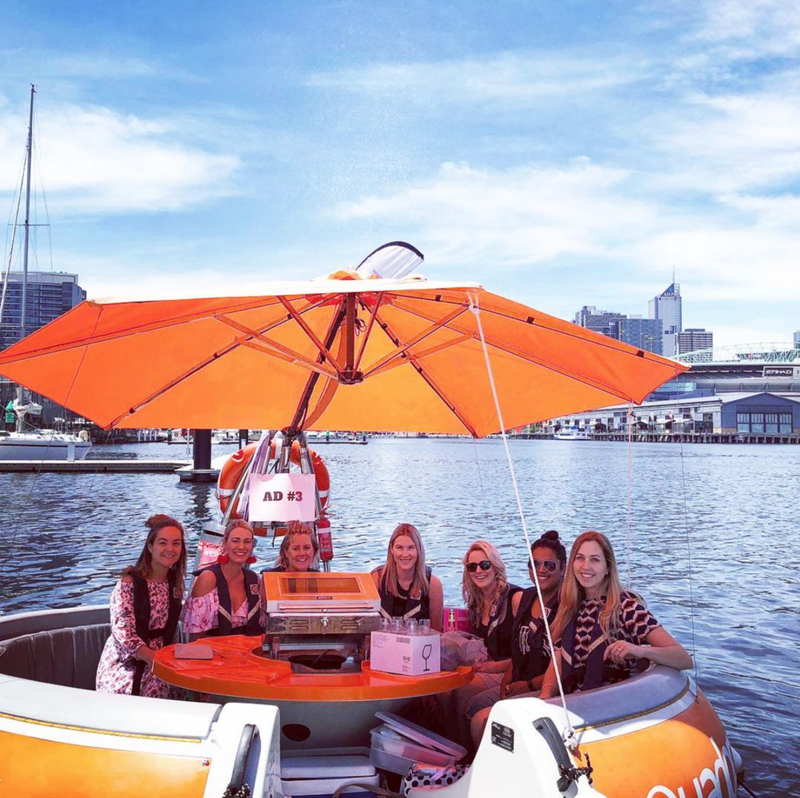 2 hours was perfect and it was good to see the Docklands from the water." All bookings are done online and you can even buy gift vouchers. 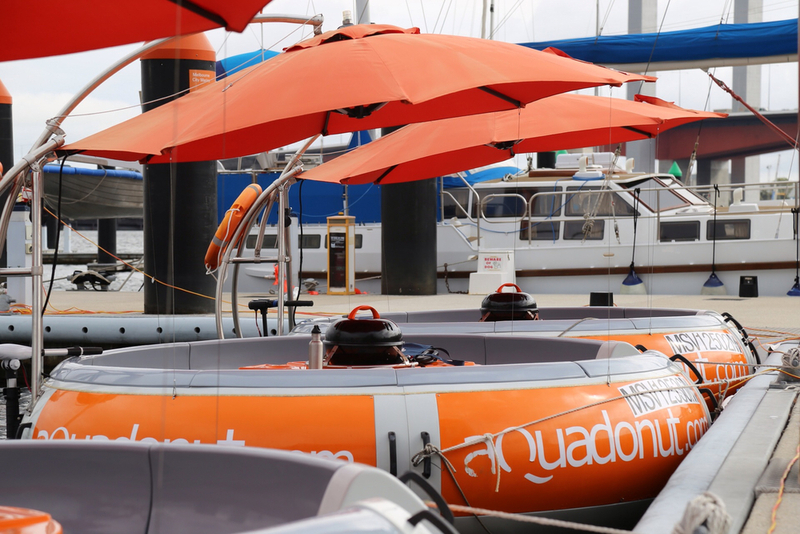 You will receive instant email confirmation once your booking is confirmed. Franchise inquires welcome. 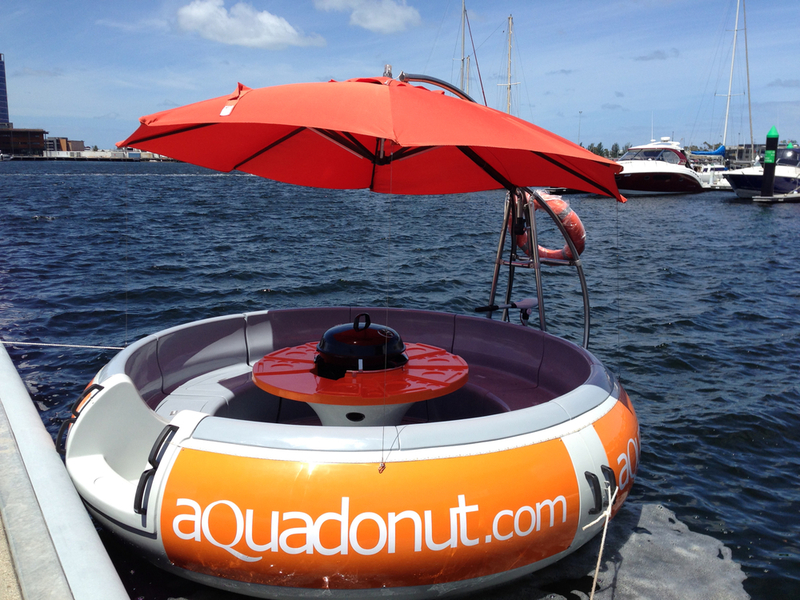 Join the Aqua Donut family. This video will provide a very good understanding of Aqua Donut franchise. A great lifestyle business with over 75,000 facebook fans!